ART. VI.----THE PAPAL POWER OVER TEMPORAL RULERS IN THE MIDDLE AGES. We know that in the Middle Ages the Pope was universally regarded as the head of the Christian family, and acted accordingly: he summoned sovereigns and their subjects before his tribunals, decided disputes between kings, imposed spiritual penalties upon scandalous and obstinate princes, deprived of their dignities and their rights those who persisted in their disorders. As there is question of the heads of the Catholic Church, their conduct evidently cannot escape the criticism of the enemies of the Church; let us see what we must think of it. I. THE POWER EXERCISED BY THE POPES IN THE MIDDLE AGES OVER TEMPORAL PRINCES WAS PERFECTLY LAWFUL. 1. This power was founded on legislation, or the public law of the time, that is, upon political constitutions which Christian peoples, their general assemblies, or their rulers, had freely established. The Pope was then regarded by princes and peoples as the natural head and the common father of Christianity. It is not astonishing, then, that they acknowledged his right to decide differences, to bring back the recalcitrant to their duties, and to constrain the perverse and obstinate by excommunicating or deposing them. 2. Most of the monarchies of the Middle Ages were both elective and hereditary; this was notably the case in France, England, and Spain. Usually a member of the reigning family was chosen; but the son himself, to succeed the father, had to be recognized by the national assembly. We can readily understand that these assemblies imposed on the sovereign elected conditions to which he pledged himself. One condition was fidelity to the Catholic faith, and it was stipulated that if the prince deviated from it or persecuted it, he lost his power. 3. Many princes, moreover, rendered homage for their crown to the see of Peter, voluntarily placing in subjection to it their States in the character of fiefs, and acknowledging themselves its vassals. Of this number were John Lackland, King of England (1213), Robert Guiscard of Naples (1053), Roger II of Sicily (1130), Peter II of Aragon. St. Stephen, King of Hungary, had also in the year 1000 offered homage for his kingdom, and Godfrey of Bouillon for the kingdom of Jerusalem. In virtue of these acts the Pope had over all these States the ordinary rights of a suzerain, or paramount lord, over his vassals. We know that feudal right conferred upon the suzerain the right to punish the felony of a vassal who failed in any of his obligations: he could take his fief from him or give the investiture of it to another. The formula of the oaths taken by the vassals of the Holy See, moreover, attest the existence of this right in the sovereign Pontiff. Let us remark, in passing, that the Pope never used this right by taking to himself either the whole or a part of the States of a vassal guilty of felony. REMARKS.----1st. To judge the Middle Ages by the ideas which prevailed after the Protestant Reformation, and particularly after the peace of Westphalia, when equal rights were granted to the various Christian communities, would be to commit a deplorable and absurd anachronism. "All Christians," says the learned Cardinal Hergenrother in his "Catholic Church and Christian State," "formed in the Middle Ages but one family. 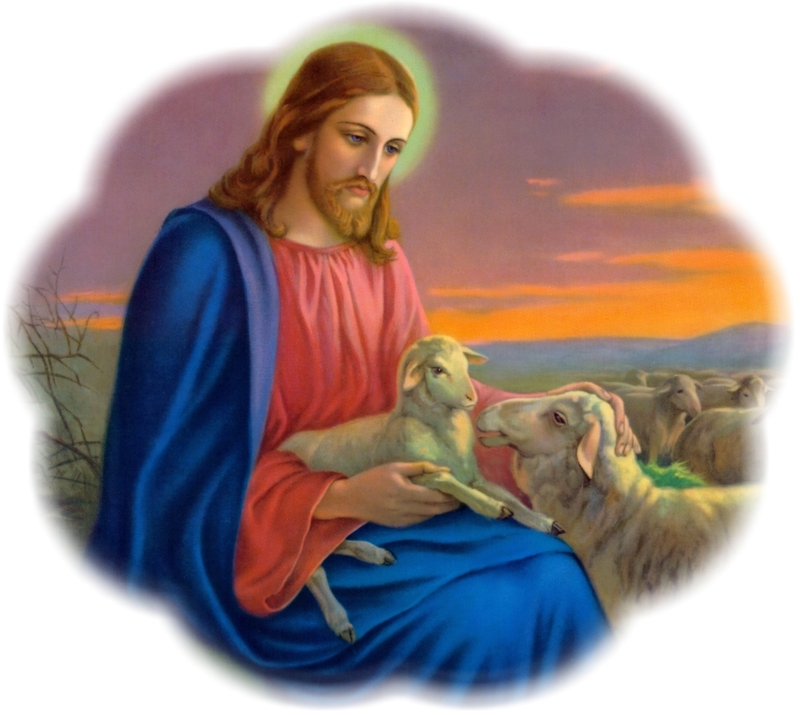 The head, the father, required for this family was supplied by him whom all nations honored as common father, the vicar of God, the successor of St. Peter, the representative of Jesus Christ, to whom was confided the power to feed the lambs and the sheep." "By entering the Church," writes Canon Moulart, professor in the University of Louvain; "by taking Christianity as the religion of the State itself; by recognizing in the end of religion the supreme and sole end of all society composed of mankind; by making, as a natural consequence of these premises, their laws in harmony with supernatural dogmas and morals, the nations of Europe attained a veritable union based upon a complete uniformity of ideas, interests, tendencies, and legislation; and they thus formed Christendom." In this author's beautiful work the question of the indirect temporal power of the Pope is very fully treated (L'Eglise et l'Etat). The ceremonies which took place at the consecration of the Emperor of the West show us the ideas of the time. The Pope warned the Emperor that he received his power in order to govern his subjects and to protect the true Church of God. To these words the Emperor replied with the following oath: "I, King of the Romans, by the grace of God future emperor, do promise and swear before God and St. Peter to be henceforth the protector and defender of the sovereign Pontiff of the Holy Roman Church in all its necessities and needs; I will guard and protect all its possessions, respect its rights to the best of my power and knowledge, with the assistance of God, in good and pure faith. So help me God and the holy Gospels." The tenor of this oath perfectly explains the language of the vassals of Henry IV at the time of his quarrel with Gregory VII or Hildebrand. They wrote the Emperor that they had sworn allegiance to him, but on condition that he should be king for the edification and not for the destruction of the Church of God; on condition that he should govern according to the laws of justice respecting the property and the rights of all. They added that since he had been the first to violate the compact, they were released from their oath of allegiance. These words of the lords clearly manifest the opinion of contemporaries in regard to the constitution of the empire. Bellarmin, for example, sustains that he can. Others, like Bianchi and Gousset, say that the sovereign Pontiff does not himself depose a ruler who is obstinate in ill doing, he confines himself to declaring that, the abuse of power has been such that it entails ipso facto, of itself, the loss of this power. There is, they say, a pledge, at least an implicit pledge, of fidelity between the king and his subjects, and this pledge is dissolved when it becomes impossible for the subjects to preserve the faith unless the prince is deposed; for the obligation to preserve the faith is, they add, a Divine law, while that of obeying this or that sovereign is a human law, which must yield to the Divine. CONCLUSION.----But whatever view we take of these controverted questions, one thing remains certain, viz., that at this time, when unity of faith was complete, and Church and State were intimately united, there existed a veritable agreement by which the ruler pledged himself to govern with justice, to defend the faith, to suppress heresy, and not to incur excommunication himself. This was incontestably the public law of that period, and these are facts which must be borne in mind when we consider this question. Was a ruler false to his pledge? It belonged to the Head of Christianity to decide whether he merited excommunication, and eventually whether it was time to declare the subjects released from their oath of obedience to the unfaithful mandatory who, by his own infidelity, had forfeited his former rights. This affords a perfect explanation of the conduct of St. Gregory VII toward the Emperor of Germany,  Henry IV; that of Innocent III toward John Lackland; of Innocent IV toward Frederick II; of Boniface VIII toward Philip le Bel. 1. History attests that the Popes during the Middle Ages rendered inestimable service on the one hand by preventing princes from failing in their duties, and on the other by keeping the people in just submission. The people were protected by them against the tyranny of rulers, and rulers against the revolt of their subjects. See the history of John Lackland, of the Emperor Henry IV; of Frederick I, of Frederick II. The Popes were the true safeguards of the legitimate franchises of peoples. Protestant writers----Voigt, in his history of Gregory VII, and Hurter, in that of Innocent III----prove with evidence that these Popes saved civilization by their energetic resistance to the corruption of the age and the ambitious and despotic aims of emperors like Henry IV and Frederick II. 2. The sentence of the sovereign Pontiff frequently decided quarrels between princes. At the present day congresses have taken the place of the sovereign Pontiff, but this system does not offer the same guarantee of impartiality and light; thus it did not prevent the partition of Poland, the abolition of the ecclesiastical principalities after the French Revolution, the persecutions in Switzerland and elsewhere. REMARK.----The result of impartial study of this subject has been to make the Papacy of the Middle Ages so highly appreciated that Urquhart,  a distinguished Protestant writer, did not hesitate recently to ask that the present system of deciding international questions by a congress be abandoned and recourse be had to the supreme arbitration of the Pope. At the end of the seventeenth century Leibnitz said: "In my opinion Europe and the civilized world ought to institute at Rome a tribunal of arbitration presided over by the Pope, which should take cognizance of the differences between Christian princes. This tribunal established over princes to direct and judge them would bring us back to the golden age." The celebrated English minister, Pitt, was of the same opinion. "We must," he wrote in 1794, "find a new bond to unite us all. The Pope alone can form this bond. Only Rome can make her impartial and unprejudiced voice heard; for no one doubts for an instant the integrity of her judgment." Finally, let us hear Voltaire himself: "The interest of the human race requires that there be a curb which will restrain sovereigns and protect the life of nations: this curb of religion might by universal consent have been placed in the hands of the Popes." 1. Hergenrother, 1. c., vol. ii., Essay 10. 2. Manning, Newman, and others against Gladstone; Br. W. vi. 514, vii. 554, x. 398, xi. often. 3. Life of Gregory VII by Villemain. 4. Gosselin, p. II., ch. 4; Murphy, ch. 40; Brann; A. C. Q. iv. 222; D. R., April 1894, p. 278. 5. In 1861 M. Guizot wrote in L'Eglise et la Societe: "All things considered, the Papacy, and only the Papacy, could be the powerful mediator by defending, in the name of religion, the natural rights of man against States, princes, and the various nations themselves; it was the Papacy which reconciled the weak with the strong by always inculcating in all things justice, peace, and respect for duties and engagements; in this way it laid the foundation-stone of international right by rising against the claims and passions of brute force." 6. An Appeal to the Pope. See O'Reilly, Life of Leo XIII, ch. 33.